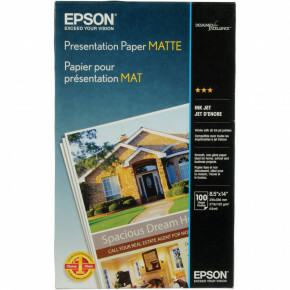 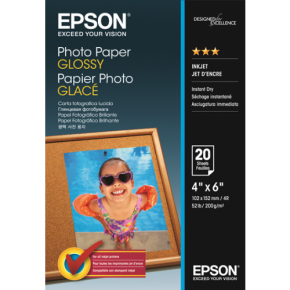 Epson Ultra Premium Paper Matte 50 Sheets 8.5" x 11"
Print your favorite family photos for display around your home and in albums with Premium Photo Paper Glossy from Epson. 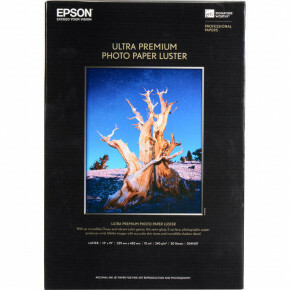 Using a smooth high gloss finish, this paper will help you bring out the best in your photographs. 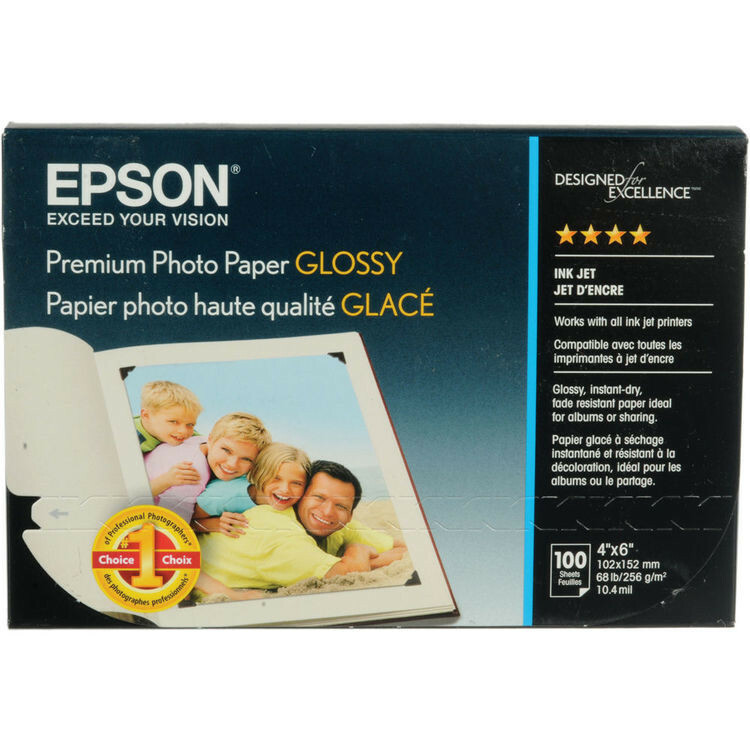 The resin-coated base is also easily handled with a basis weight of 252 gsm, or 68 lb, and a thickness of 10.4 mil. 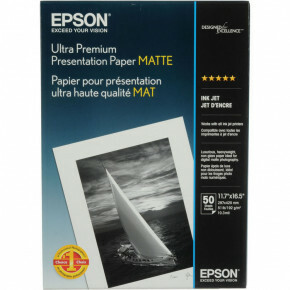 Also, the smudge- and water-resistant media features a rated opacity of 97% and a brightness of 92%.